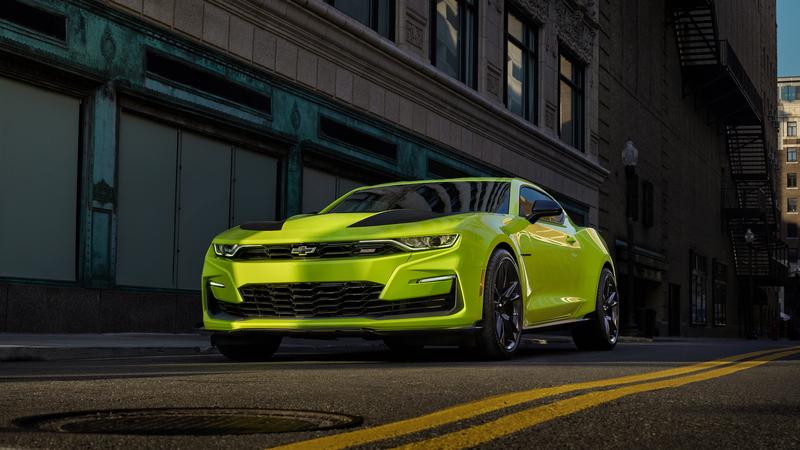 The 2019 Chevrolet Camaro color palette is in for a bright new addition. 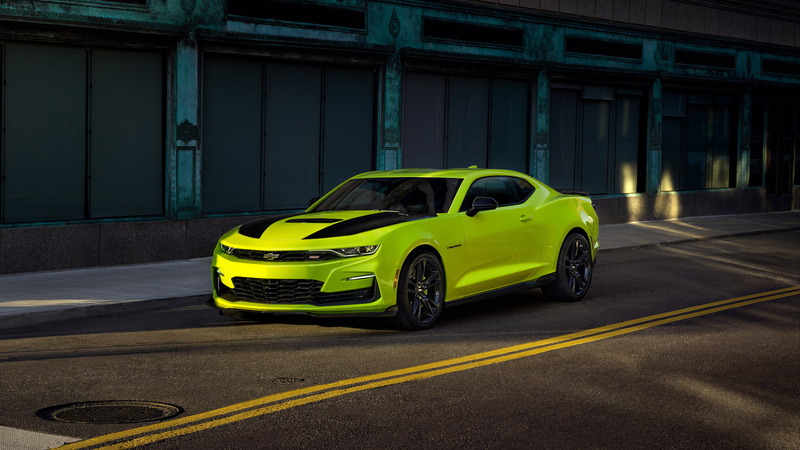 On Tuesday, the brand introduced the Shock yellow exterior color for the pony car, as part of a new Camaro concept heading to the 2018 SEMA show. If the hue looks familiar, that's because it will also be available with the 2019 Chevrolet Bolt EV. The brand first showed off the production color for the electric car this past September. 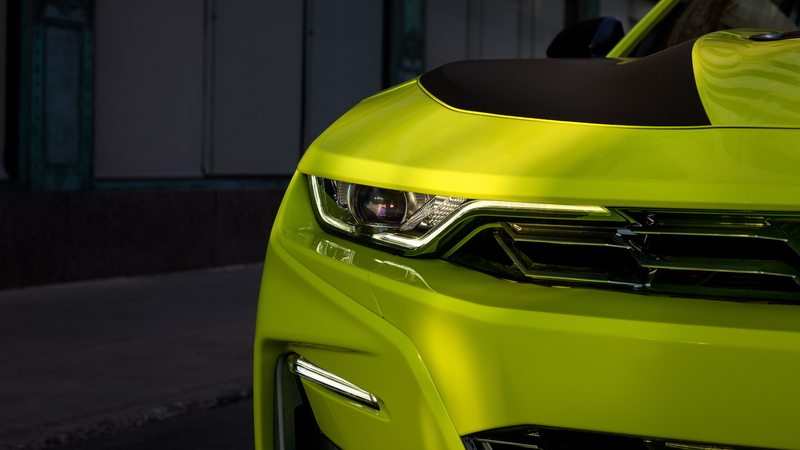 However, the color didn't originate on something electric; it made its conceptual debut on the 2017 Chevrolet Camaro AutoX concept, which the brand showed off at the 2016 SEMA show. 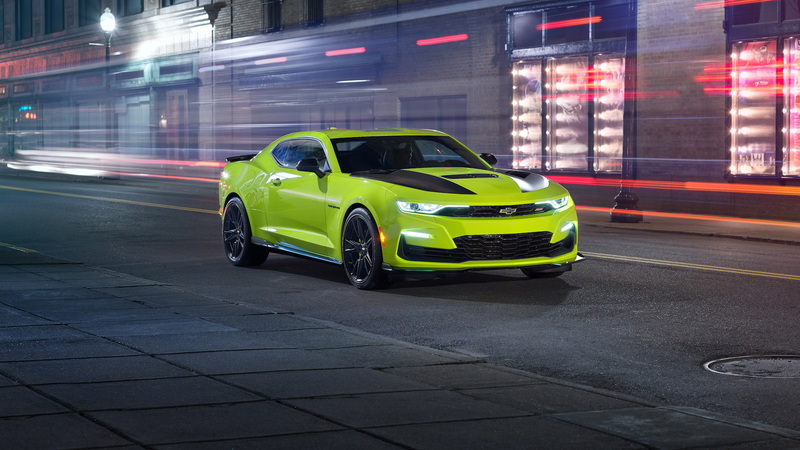 The 2019 Camaro SS "show car" also includes new hood and fender graphics to compliment the Shock yellow color. But, the biggest news isn't the new color—it's the "concept" front-end styling. Look closely, and it's clear this isn't a regular 2019 Camaro SS with a highlighter-infused exterior color. Designers have relocated the Chevy bowtie emblem to the center grille and finished the center fascia piece running across the grille in the car's body color. The refreshed pony car came under heavy scrutiny for a "love it/hate it" front clip. The production design features a Chevy badge mounted directly in the middle of a black grille bar, which arguably gave the car an awkward look. Although Chevy is calling the front clip a "concept" design, SEMA is notoriously a place to test the waters for future accessories and vehicle style changes. The show car's look is much more cohesive. Motor Authority reached out Chevrolet for comment on whether these concept changes could be put into production, but we did not hear back at the time of publishing. We'll update the story should Chevrolet return our request. Other features the Camaro show car boasts is an expanded line of Chevrolet accessories. Ground effects, a black rear wing, a cold-air intake kit, Recaro performance seats, and a 1LE suspension component package all grace the bright yellow Camaro. The Shock color will enter production in early 2019 and we'll see more of the Camaro show car when the SEMA show opens October 30.